I know I said my last post on our weekend in the Amalfi Coast would be my last post on our summer road trip, but bear with me and hear me out on this definite last, short post. I don’t usually write about our hotel stays on our many trips throughout Italy because, frankly, what Italy has in beautiful sights, amazing food, and culture, it lacks in affordable hotel accommodations. In fact, I’ve only ever written one post on this subject: about our agriturismo stay in Trentino-Alto Adige/Südtirol. To this day, it is still our favorite. Until we got to the Amalfi Coast, that is. 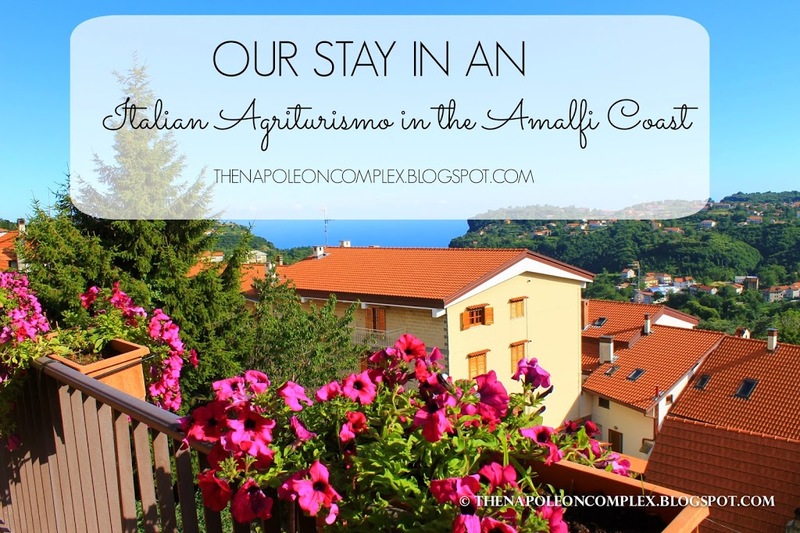 I talk about agriturismi a lot on the blog and I’ve never really explained what they are. In English, I guess the best translation would be a farm stay, but I don’t like that term too much. For me at least it conjured up an image of a dilapidated red barn house in the middle of an Ohio cornfield where you have a haystack for a bed. In Italy, a farm stay is much more picturesque, especially if you’re in the Tuscan countryside, or in our case, the Campania region in southern Italy. 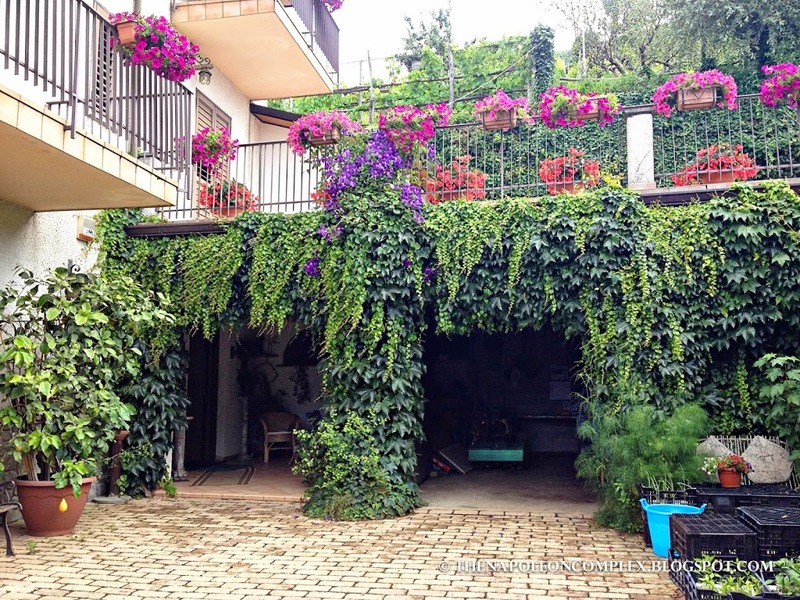 Agriturismo Nonno Tobia is located in a town called Agerola, near the Amalfi Coast. 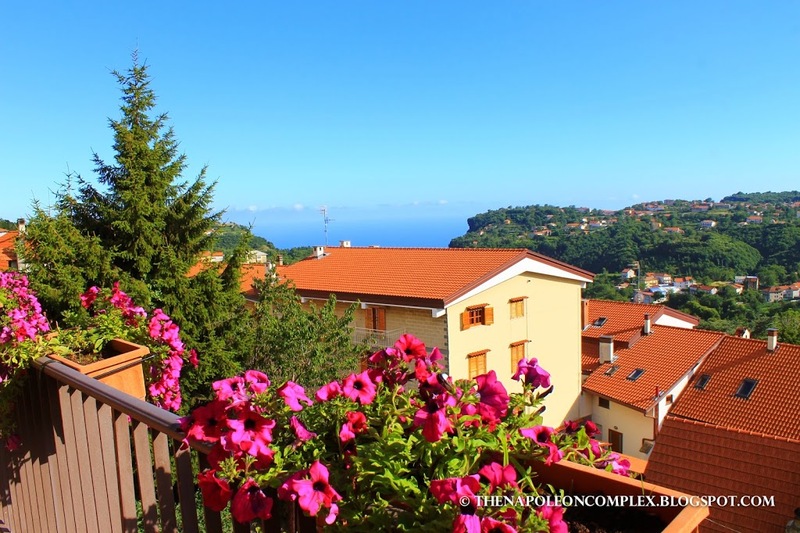 By the time we started looking for a place to stay in Amalfi, any hope of a cheap HomeAway apartment was long gone and the only thing available were hotels at ridiculously expensive Amalfi Coast prices. 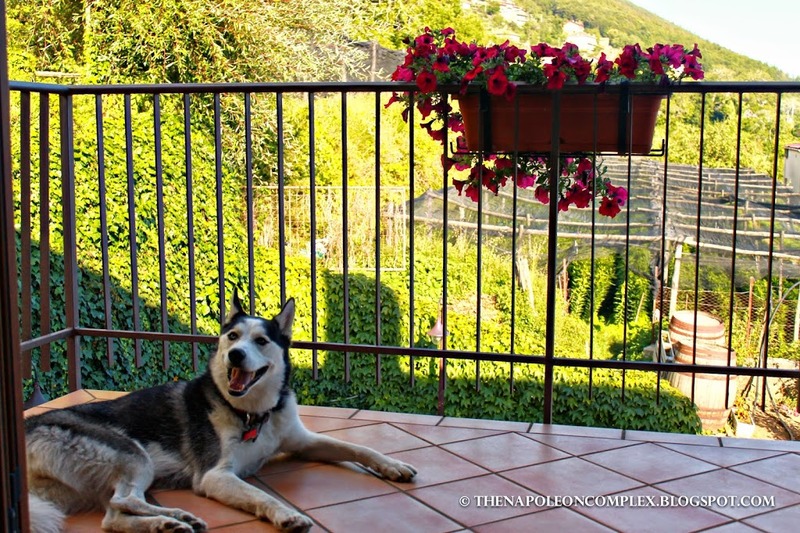 So we found Nonno Tobia, which ended up being less than an hour away from Amalfi and Positano by car, and also within an hour drive to many of Campania’s major tourist attractions like Pompeii and Naples. We rented two rooms, both absolutely adorable. The rooms are named after flowers with a different, corresponding color scheme. Both our rooms also had these great balconies with flowers and a view of the ocean in the distance (that was my one requirement when looking for a place to stay in the Amalfi Coast: I had to be able to see the ocean). The one thing that set this agriturismo apart from all the other ones we’ve stayed at was service. That Italian hospitality everyone wants to experience when they come to Italy? We definitely got it here. 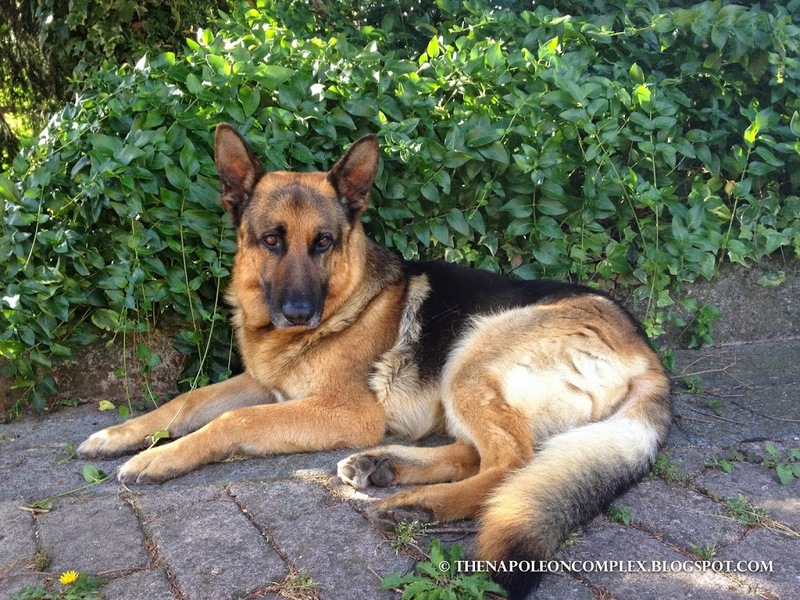 When we arrived we were greeted by the most handsome and friendly German Shepherd, who immediately fell in love with Arya of course. The owner’s son immediately began engaging us in conversation as soon as we got out of car. He gave us tips on where to park and where to eat in Positano and Amalfi, and he even offered to take care of Arya on the day we went to Positano! Up until that point (and since then), we have never been so well taken care of! We had breakfast and dinner, both absolutely spectacular! Breakfast consisted of coffee, tea, two different types of freshly squeezed juice, and an assortment of homemade bread and pastries. Dinner was the standard multiple course Italian dinner, with an antipasto of hams and cheeses, a primi of pasta, and a secondo sausages with veggies. All this was home cooked, washed down with wine produced by agriturismo, dessert (of course! ), a shot of limoncello and coffee. We also got to have dinner with the other guests and the owners would come and go to chat. We had to translate most of the conversation for Carolina and Joaquin, but they loved this experience best of all the places we stayed at while we were on the road with them. The Dining Room set for breakfast. Pro: Affordability. This is the number one reason we choose to stay in agriturismi 90% of the time. They usually have high and low season prices, sometimes broken on a per night basis and other times on a per person, per night basis. You can expect to pay as low as 25€ per person or maybe 40€ and up if its on a per night basis. Pro: When in Rome…If you want to stay in Italy like a local, this is what the locals do when they go on a weekend trip to the countryside. Pro: Traditional food. In order for an agriturismo to be labelled as an agriturismo in Italy under tax laws, they must produce, use, and sell a certain percentage of typical regional specialities. This will include everything from the veggies, to the fruits and the jams they make with that food, to the olives and olive oil, and of course, the wine. If your agriturismo offers you dinner, take it! 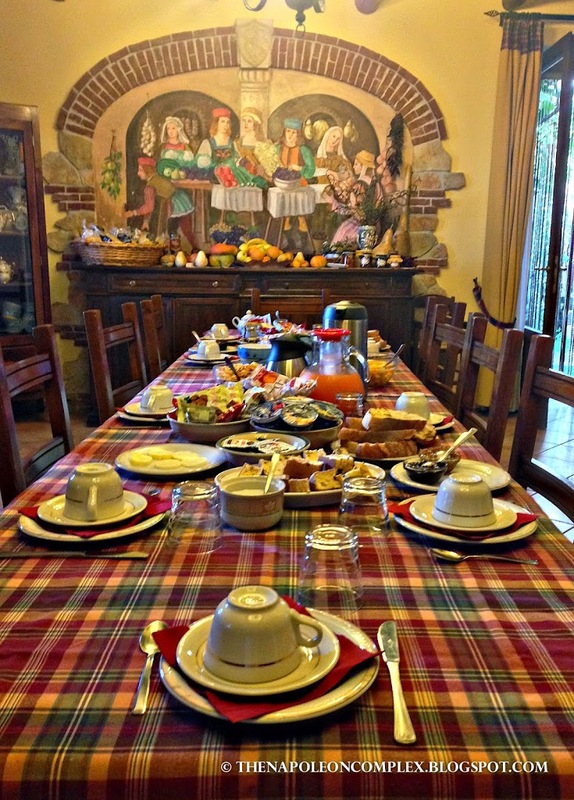 It will likely be the most authentic, homemade meal you will experience in Italy. Con: It’s not a hotel, so don’t expect 5 star service. What I mean by this is depending on which agriturismo you choose (and what you’re paying) sometimes they might not wifi (or even regular cell phone service is its very remote), sometimes they might not make up your bed every morning, and you’re definitely not going to get 800 count Egyptian Cotton bedsheets. At least not in any of the agriturismi we have stayed at, but we have seen some really luxurious-looking ones! The good news: they’re never as bad as a hostel and you can count on heated water and a heater in the winter. Con: You will need a car. The fact that you would need a car is really the biggest drawback to choosing to stay in an agriturismo if you’re coming to Italy for a few weeks. This is because if what you are looking for is to save money on an expensive city hotel, you might actually be paying more in gas and rental car prices by staying outside the city. But really, this all depends on where you want to go, the kind of liberty of movement that you want, and how many people you are traveling with. 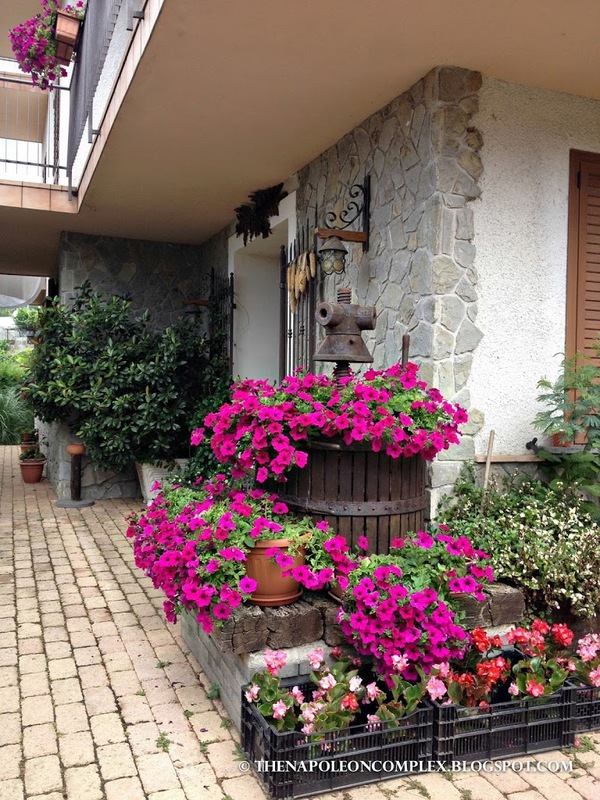 If you want to browse different agriturismi in all parts of Italy, check out this website, which is where we find all the agriturismi we stay at! Disclaimer: We were not compensated in any way by the kind folks of Agriturismo Nonno Tobia. All our opinions are our own. Unless otherwise stated, I receive no compensation from the places I mention in this blog.